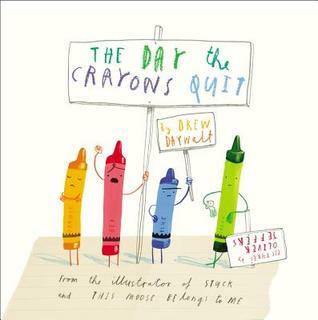 I am so in love with this sequel to the book The Day the Crayons Quit. 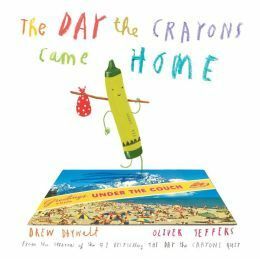 The Day the Crayons came home has a similar feel to the first book, but I found it to be even more witty and clever. I loved the attitude of each crayon, particularly Pea-Green crayon, AKA Esteban and Neon Red Crayon. 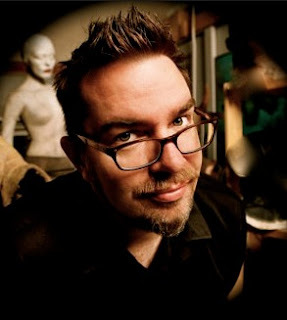 I couldn't help but feel a bit bad for our dear friend Esteban as his plans to run away keep hitting road blocks and there are so many laugh out loud moments as Neon Red Crayon travels the 'world'. All of the crayons take us on a humorous adventure as they make their way back home to Duncan. 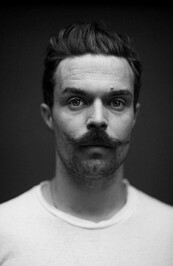 The illustrations by Oliver Jeffers are fabulous, we loved the glow-in-the-dark page most, but each page has so much to look at. The illustrations are simplistic enough for the youngest reader, but full of little detailed that even the oldest readers will find something to love. I also loved that with each of these crayons personalities you as the reader can find one of them to connect with. I am most definitely a Neon Red Crayon, my oldest daughter said she would be the pencil because they are the simplest and she would rather write than draw and my youngest couldn't decide between Rainbow Crayon (who makes a guest appearance) or Esteban (formerly known as Pea-Green Crayon). Sufficed to say you can tell we had a great time reading this book. Lots of laughter, plotting (for what the crayons do next), and smiles! This is a fantastic book for anyone really, I swear I enjoyed it as much if not more than my 9 and 6 year old daughters. Every Pre-K through 3rd grade (at the least) should have a copy of this book (and the first one) on their class room shelves...if you're teacher doesn't have it let me suggest it as a wonderful teacher appreciation gift! This is a must have book for any home library as well, it will get read over and over and bring lots of wonderful laughter into your home!